Elevational gradients are powerful ‘natural laboratory’ for testing the responses of microbes to geophysical influences. Microbial communities are normally composed of a few abundant and many rare taxa. Abundant and rare taxa play different ecological roles in kinds of environments, but how their diversity and composition patterns response to elevation gradients is still poorly elucidated. 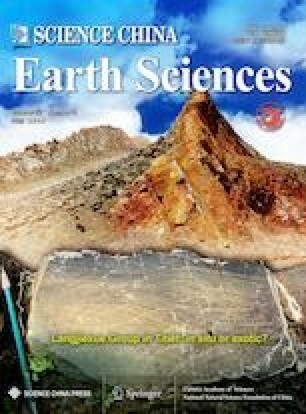 In this study, we investigated the elevational patterns of abundant and rare bacterial diversity and composition in a mountain stream from 712 to 3435 m at Gangrigabu Mountain on the Tibetan Plateau, China. Our results revealed abundant and rare bacteria had similar decreasing elevation trend of alpha diversity, and both of them showed a significant elevational distance-decay relationship. However, the turnover rate of the elevational distance-decay of rare bacteria was higher than that of abundant bacteria. The species-abundance distribution patterns of rare taxonomic composition were associated with the elevational gradient, while most of abundant bacterial clades did not display any relationships with elevation. Our results suggested that rare bacteria were more sensitive to changes in elevation gradient. Supplementary material is available for this article at https://doi.org/10.1007/s11430-018-9316-6 and is accessible for authorized users. This work was financially supported by the International Partnership Program of Chinese Academy of Sciences (Grant No. 131C11KYSB20160061) and the National Natural Science Foundation of China (Grant No. 41425004). Supplementary material, approximately 387 KB.